Millions of Americans seek medical advice online each day. Patients want more control over their health. Most of what they find is either inaccurate, hard to understand or linked to advertising. And studies show that educated patients have better outcomes and higher satisfaction with care. Orthopaedic Surgeon Randale C. Sechrest, MD created eOrthopod to help patients better understand their condition and the complex procedures in orthopedic surgery. Professional medical illustrations and animations make even the most complicated condition or procedure clear to patients. And, because it’s online, patients can immediately access the information they need at home or in your office. Simply the best patient education materials available today! 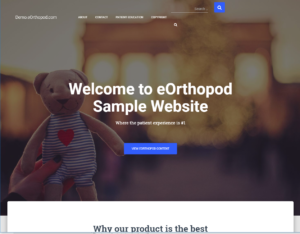 eOrthopod allows YOUR practice to provide YOUR patients with medically reliable information that is regularly updated and free of advertising. By adding patient education materials that are clearly written and professionally illustrated to your website you can use the “information prescription” as a powerful tool for your practice to increase patient satisfaction and efficiency. Most patients find it easier to digest medical information at home on their own time and at their own pace. eOrthopod saves you and your staff valuable time while providing patients with a comprehensive resource for “self-service” information that supports your practice. 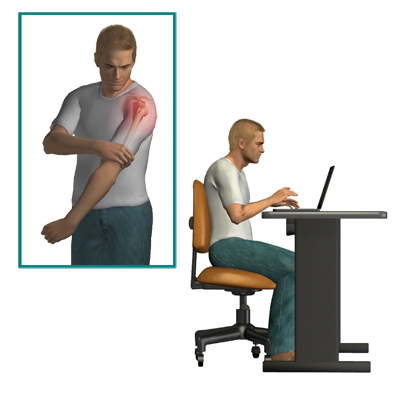 Provide online access to orthopedic information for potential patients. Refer your patients to specific information before their appointment. Provide online access to patients during their office visit. Provide an “information prescription” for your patients to review from home. Share information about orthopedic conditions and procedures with referring providers. Illustrate your clinic newsletters with images that are readily available. Make PowerPoint presentations easily – with images and text at your disposal. 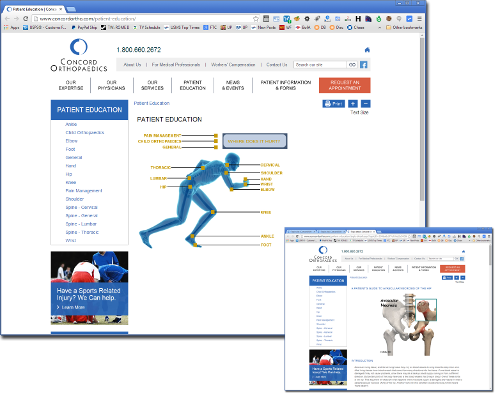 Looking for a whole website custom-built to your specifications with eOrthopod patient materials built-in? 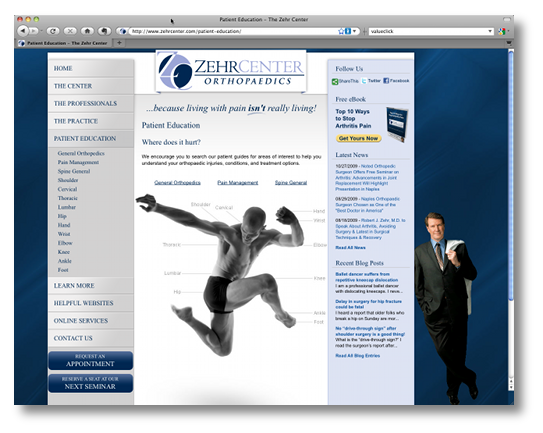 You can also add eOrthopod Patient Education to your website! Embed the eOrthopod Patient Education Library on YOUR website wrapped in YOUR branding! All content – including each downloadable booklet – is personalized with your website “look and feel” and your logo. Hospitals, or larger practices with more providers please email info@eorthopod or call 520-207-7095 for a price quote. Interested in licensing some or all of our content? Don’t hesitate to reach out! Send an email to info@eorthopod.com or give us a call at 520-207-7095. We look forward to hearing from you.